PASS SQL Saturday Parma Agenda now available! 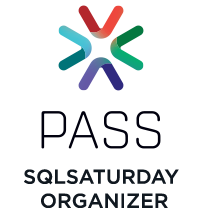 PASS SQL Saturday Parma agenda is now available! BI, for Business Intelligence, BigData, xVelocity, etc. Checkout the agenda here and organize your Saturday with the schedule builder! This entry was posted in Events, PASS, SQL Server and tagged bigdata, business intelligence, events, Microsoft, PASS, SQL, SQLSaturday, SQLServer, Windows Azure. Bookmark the permalink.